S.H.E. 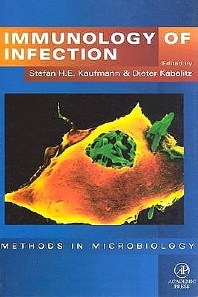 Kaufmann and D. Kabelitz, The Immune Response to Infectious Agents. A. Scheffold and A. Radbruch, Phenotyping and Separation of Leukocyte Populations. D. Kabelitz and K. Pechold, Measurement of Cellular Proliferation (3H-TdR, MTT, Absolute Cell Numbers by SCUD). H. Mossmann, Management of Infected and Immunocompromised Animals. C.J. Czuprynski and J.F. Brown, In Vitro Analysis. W. Born, M. Tsuji, C. Cady, M. Lahn, A. Mukasa, C. Reardon, and R. O'Brien, Establishment of Murine T Cell Lines, T Cell Clones, Hybridomas and Transfectomas. D.H. Busch and E.G. Pamer, Killer Cell Assays. R. Haworth and S. Gordon, Isolation of Professional Phagocytes and Measuring their Functions: Murine Macrophages in Vitro. M. Mielke, In Vivo Analyses. S. Ehlers and U. Seitzer, Measuring Immune Responses in Vivo. A.D. Roberts, J.T. Belisle, A.M. Cooper, and I.M. Orme, Specific Models. P. Kropf, K. Brunson, R. Etges, and I. Muller, The Leishmaniasis Model. J.B. Ulmer, J.J. Donnelly, D.L. Montgomery, and M.A. Liu, Art and Science of DNA Vaccines. K. Lövgren-Bengtsson, Preparation and Use of Adjuvants. J. Banchereau, Isolation and Propagation of Dendritic Cells. E. Märker-Hermann and R. Duchmann, Isolation of T Cells and Establishment of T Cell Lines and Clones. H. Fickenscher and B. Fleckenstein, Growth-Transformation of Human T Cells. G. Pawelec, E. Mariani, R. Offringa, C.J.M. Melief, and R. Solana, Generation and Characterization of Killer Cells. H. Yssel and F. Cottrez, Measuring Human Cytokine Responses. U. Seitzer and J. Gerdes, Measuring Immune Responses in Situ: Immunohistology and in Situ Hybridization. S.W. Krause, M. Kreutz, and R. Andreesen, Isolation, Characterization, and Cultivation of Human Monocytes and Macrophages. Established for almost 30 years, Methods in Microbiology is the most prestigious series devoted to techniques and methodology in the field. Now totally revamped, revitalized, with a new format and expanded scope, Methods in Microbiology will continue to provide you with tried and tested, cutting-edge protocols to directly benefit your research. Immunology of Infection, edited by two of the foremost figures in the field, presents the most appropriate, up-to-date techniques in the detail you require. The layout is structured for ease of reference, and the volume will be essential reading for all researchers working in microbiology, immunology, virology, mycology, and parasitology. The new volume provides a carefully selected collection of immunological techniques for the microbiologist wishing to study host-pathogen relationships in vivo and in vitro. This multi-authored book has succeeded in bringing together experts from various fields of molecular and cellular immunology who provide ready-to-use recipes for the ex vivo and in vitro analysis of anti-infective immunity. Microbiologists who use immunological techniques during their study of microorganisms, especially those studying infectious agents and infectious disease, clinical microbiologists, immunologists, and parasitologists.